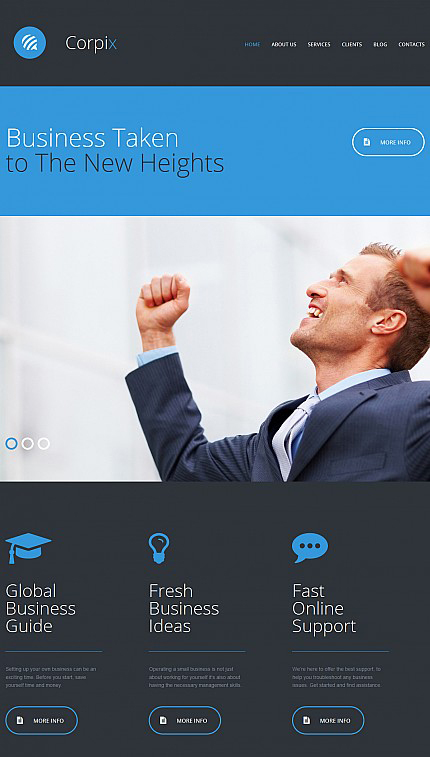 Spectrum is a next-generation business theme. 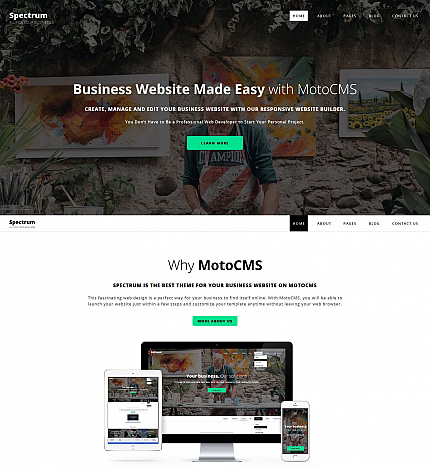 Thanks to a built-in admin panel powered by MotoCMS, it lets the users with little to no web development background customize the theme’s functionality without any extra effort. In addition to 17 pre-built page templates, Spectrum includes 2 child themes – one for a restaurant site and the second one for a consulting company. Thanks to the regular system updates, buying the theme once you get a product that will remain up-to-date for ages. 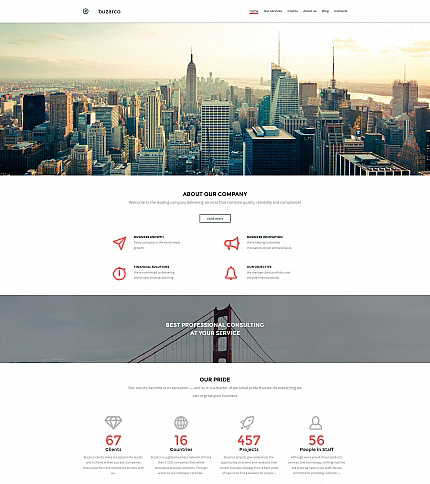 Simple and intuitive layout structure of this theme lets even first-time visitors scan your pages effortlessly. A sticky drop-down menu will also facilitate navigation on the page. 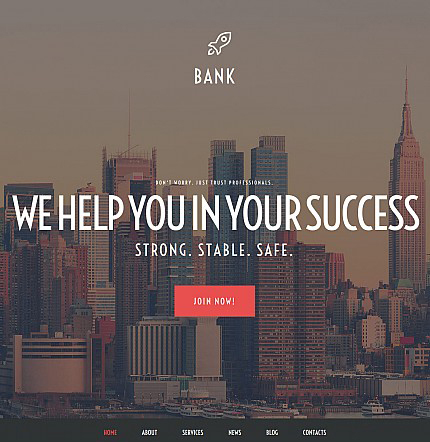 Parallax scrolling backgrounds will add a more captivating look to your business site. 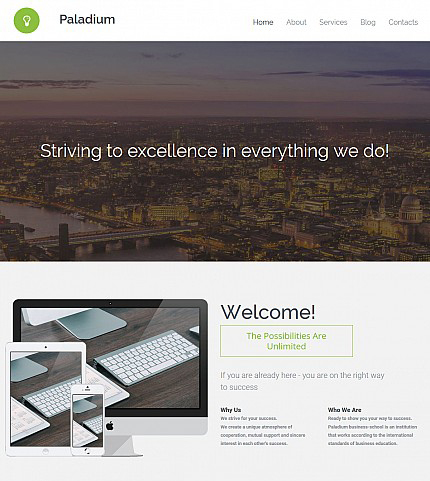 A fully responsive layout of this sleek and modern theme will adjust to a variety of screen sizes flawlessly. 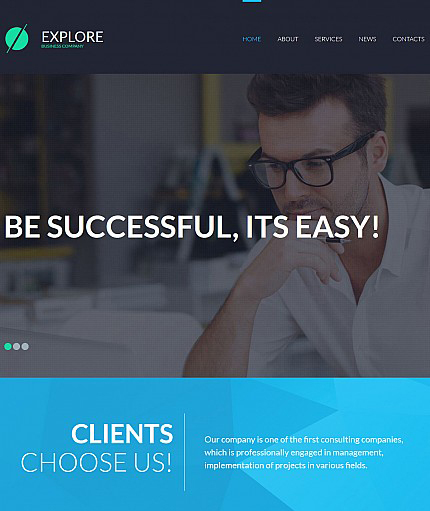 The theme features flat style and plenty of whitespace, enhancing the readability of your content. 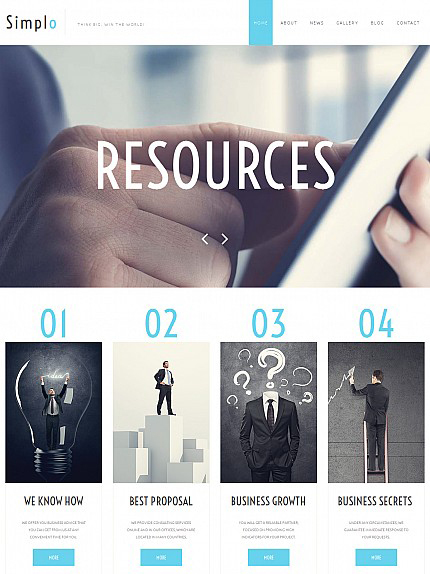 The theme is well suited not only for business but also educational projects. Niche-specific icons are added to enhance the users’ browsing experience. The layout of this theme built in soft colors makes you relax and enjoy browsing the site. A thought-out content structure allows you to share loads of data on one page in a well-balanced manner. 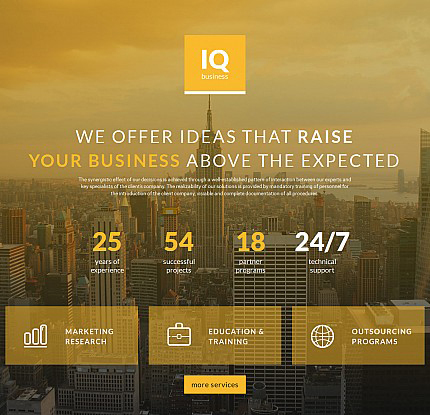 Bold backgrounds featuring parallax scrolling animation separate different pieces of content visually. Lazy load effect was integrated to speed up your site’s loading. 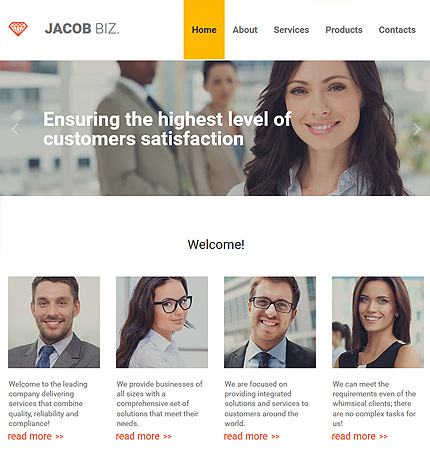 Here is a ready-made theme that will help you built a professional and reliable business image on the web. The straightforward layout doesn’t include anything that would distract the users’ attention from browsing your content. The theme is intended to captivate your clients with impressive visual content. Combined with written data, it provides for better readability of the theme. Grid-based content positioning lets one scan the page and find the desired data effortlessly. The theme makes use of bold page-width backgrounds. Each of them stands for a specific type of content. The theme is integrated with Google map widget placed at the bottom of the front page. Social sharing options are also included. This versatile template can adapt to any business niche. 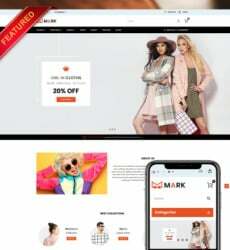 An integrated drag-and-drop page builder enhances the theme’s customization, and lets you get the site live in a matter of days. A host of personalization options let you craft a web resource that perfectly matches your brand image. The theme lets you manage your site’s content on the go. 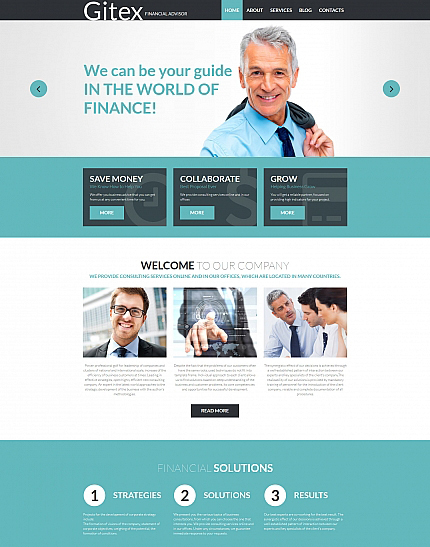 Both the front-end and back-end of the theme are absolutely responsive. As a site administrator you can also benefit from valid code, several gallery scripts, Google Analytics integration, and a lot of other options. 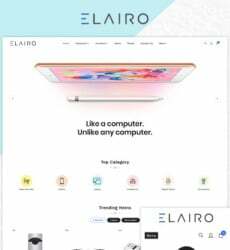 Neat and refined layout style of this theme is enhanced with the parallax scrolling backgrounds for different sections of your site. Ghost elements perfectly harmonize with the rest of the design elements. Grids and card-based content sections enhance the content scannability.